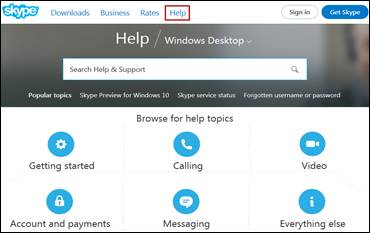 Access the help page at: https://support.skype.com/en. Click on the Help link at the top of the screen to display a variety of help topics to get you started. 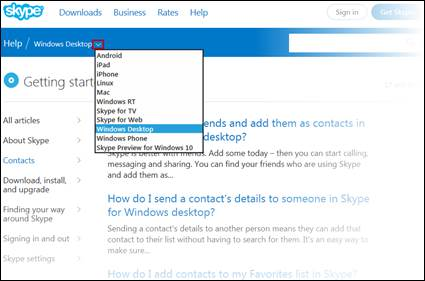 To access help for a different device, click on the drop-down arrow for a list of options. Note: A free account is available for hosting meetings with up to 3 people. When joining a meeting, click on the link provided to you and follow the steps. It doesn’t cost anything to join a meeting.